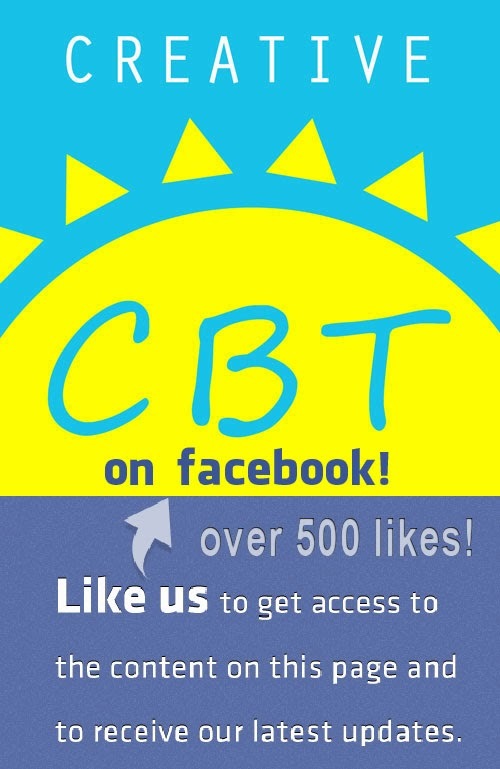 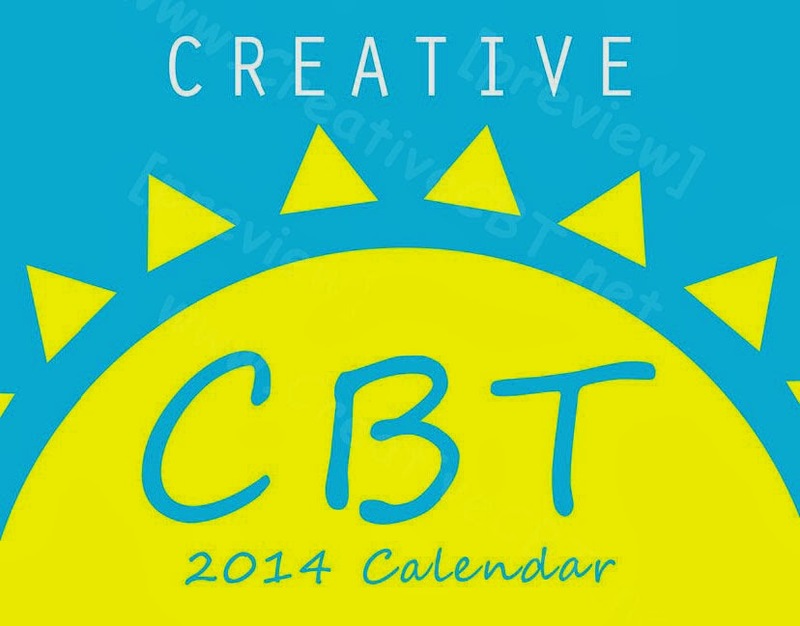 The Creative CBT 2014 calendar is now finished! 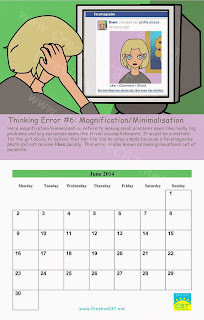 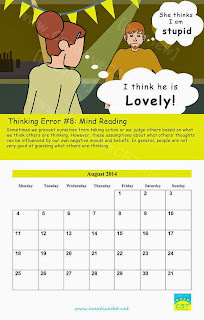 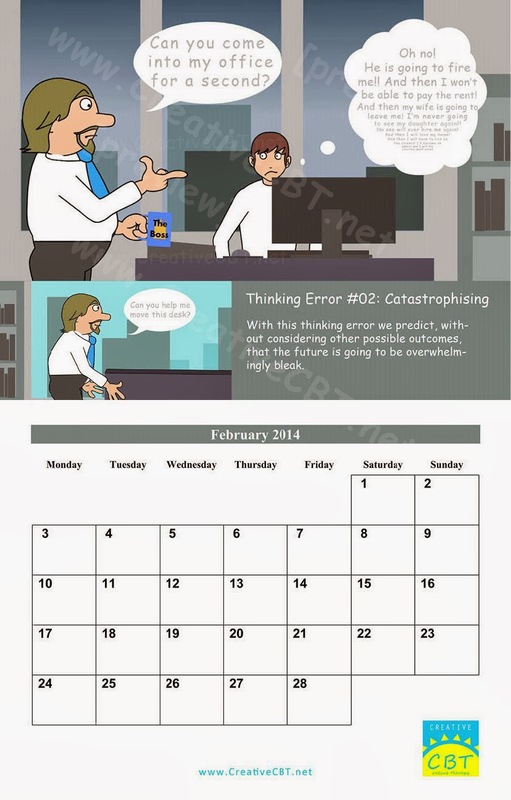 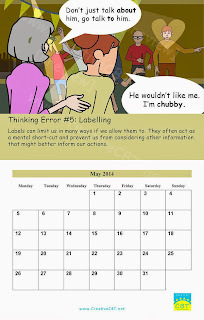 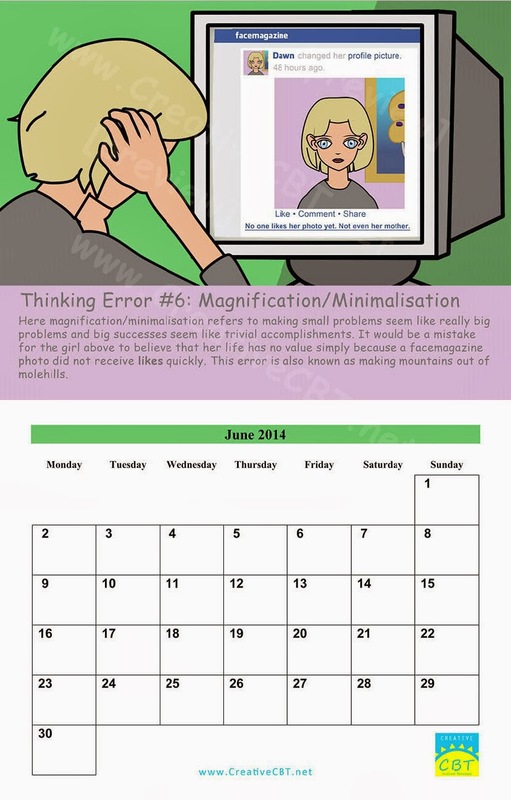 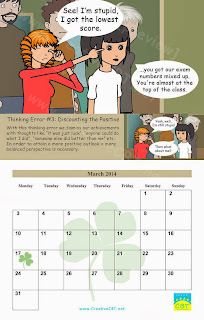 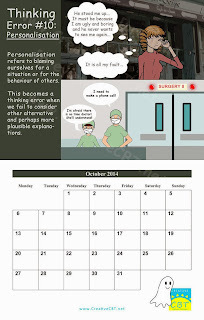 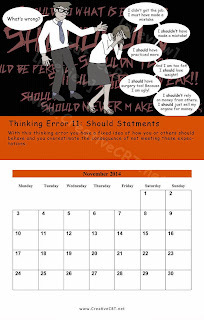 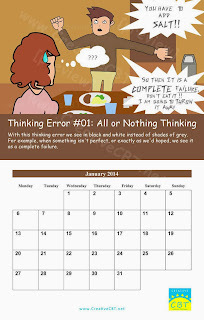 The theme of the calendar is "thinking errors". The 12 thinking errors were first proposed by Aaron Beck, one of the founders of cognitive behavioural therapy. 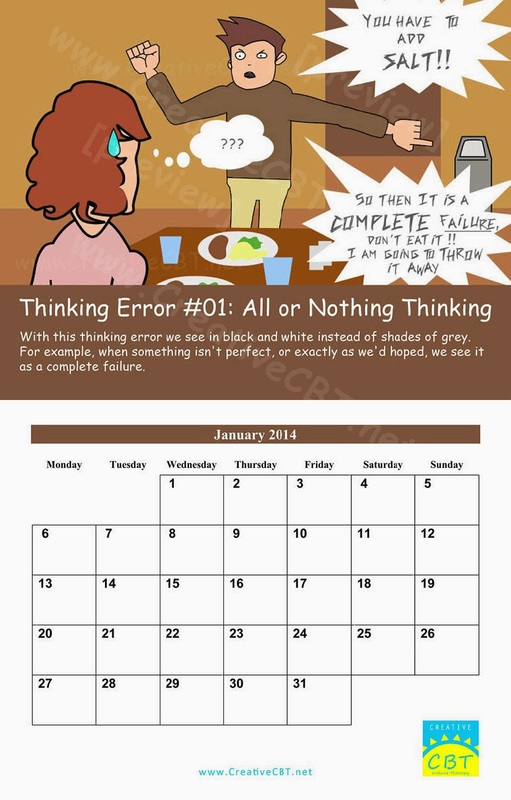 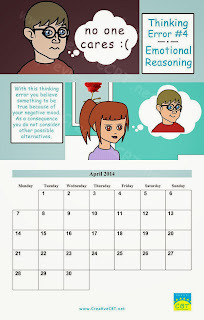 The calendar contains 12 original comics, one for each of Aaron Beck's thinking errors. 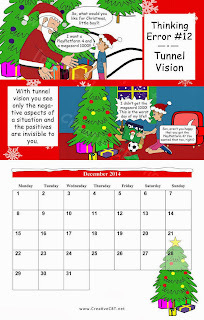 The calendar is available free to current and new clients or for 19.99 euro/17.99 GBP to anyone else who might be interested. 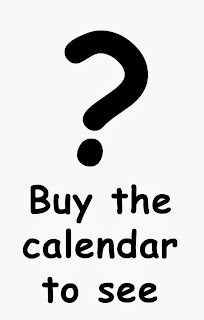 The calendar itself is folded A3 sized with a single punch. 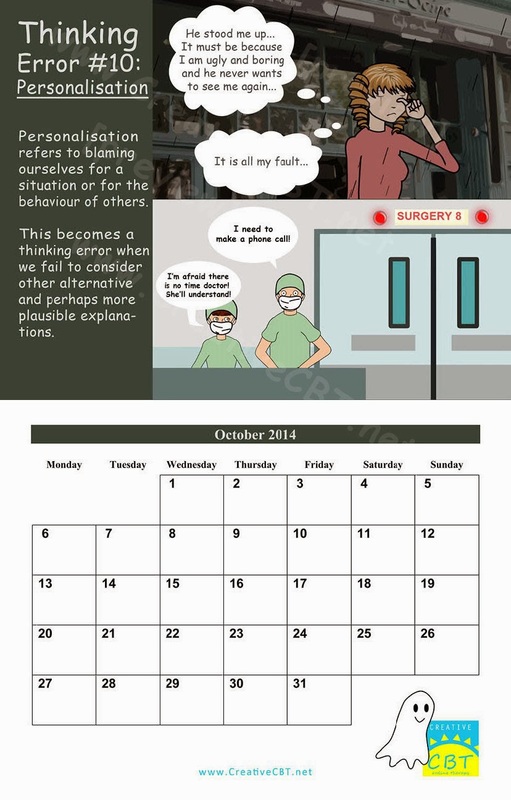 The comics are mostly from the website but have been recompositioned to fit the calendar. There are also two additional comics made especially for the calendar. 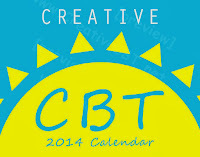 Contact me to order a copy of the calendar or click below to see preview images of the calendar.